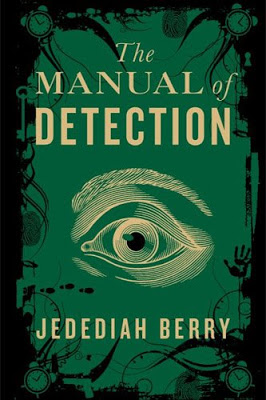 Jedediah Berry’s debut novel, The Manual of Detection, is riddled with nostalgia. Taking its aesthetic and setting mainly from hardboiled detective fiction along the lines of Dashiell Hammett, it’s a celebration of a subgenre of detective fiction which progress has left behind. The dawn of the Internet, mobile phones, and CCTV, as well as nearly a century of social change, mean that although it is still possible to write stories about a lone, honest detective trying to do what’s right in a corrupt and decadent world, a good many of the tropes and situations that used to define the hardboiled genre by and large can’t be applied to modern-day stories. However, by taking the tropes of Hammett and Chandler and applying them to a fantastic situation, Berry is able to get sufficient distance from particular times and places to enable him to ease off on the topicality that Hammett and Chandler brought to the table and wax philosophical instead. Make no mistake about it, The Manual of Detection is a fantasy novel. It is not a traditional high-fantasy novel set in world similar to a time period in Earth’s history, and nor is it a modern-day fantasy along the lines of Tim Powers or Buffy, in which fantastic elements exist a world that is otherwise nigh-identical to present-day Earth. Rather, it is set in an unnamed rain-slicked coastal US city, in an unspecified time period that’s probably somewhere between the 1930s and 1950s, and centres around Charles Unwin, a humble clerk from an unnamed, monolithic detective agency. Unwin’s main duty is editing and filing the case notes provided by his assigned detective, Travis Sivart, whom he has never personally met due to the Agency’s byzantine and mysterious internal policies. After dreaming of a strange encounter with Sivart, Unwin discovers Sivart has disappeared, and that he has been mysteriously promoted to the rank of detective – a promotion which has no precedent in the annals of the Agency. Convinced that this is a terrible mistake, Unwin goes to meet with Sivart’s immediate superior, the Watcher Lamech, only to find that Lamech has been murdered; reluctantly investigating Sivart’s disappearance (without quite being instructed to in so many words) he finds that old adversaries of Sivart such as the sinister magician Enoch Hoffmann and the femme fatale Cleo Greenwood, have returned to town. And when he discovers that some of Sivart’s most famous cases, such as The Oldest Murdered Man and The Three Deaths of Colonel Baker, were never correctly solved, things get really strange. 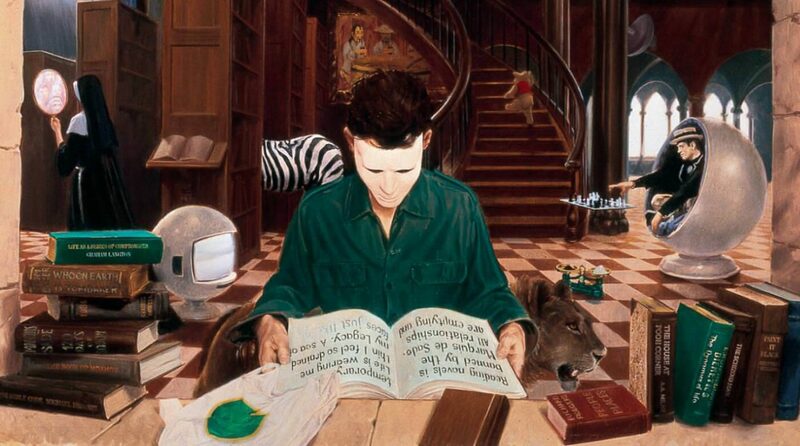 Soon enough Unwin finds himself infiltrating a subconscious conspiracy of sleepwalkers, learns of the hidden arts of dream-detection, and discovers that the Agency – and Hoffmann’s sinister criminal Carnival that acts as its mirror image – are merely the latest incarnations of two sides in an eternal battle between law and chaos, conscious and subconscious, waking life and dream. Unwin has to unravel it all if he’s to stop a cataclysm whose seeds lie in the distant past, the key to which lies in Sivart’s greatest case – The Man Who Stole November 12th. And he’s guided only by his battered copy of The Manual of Detection, the Agency’s guidebook for its detectives. This is precisely as awesome as it sounds. Unwin is introduced to us as an unimaginative and unambitious pen-pusher, who only wishes to find Sivart so that he can go back to his old job; his reluctant transformation into a true detective is, whilst unlikely, entirely believable, and Berry handles the classic hardboiled tropes with skill. By adding the fantastic elements to the story bit by bit Berry allows himself time to establish them and make them seem like natural elements of the story before he brings in the next one. It’s an approach not entirely unlike that GK Chesterton took with The Man Who Was Thursday, a story which begins as a spy thriller and finishes in the court of the Almighty. And whilst a cosmic conflict between Law and Chaos is a well-worn fantasy trope, dating back to Poul Anderson, and the idea of making sure that both Law and Chaos are unappealing choices and that a balance between the two is necessary likewise dates back to Michael Moorcock, it’s rare to see these themes handled so adeptly. In particular, I like the fact that Berry is able to make Law seem unquestionably on the side of right and Chaos unquestionably evil at the beginning, and then by the end manages to make both of them seem capable of both great good and great evil to an equal extent – this is something Michael Moorcock frequently attempted with his stories, but often wasn’t quite able to balance just right. A confident novel, with less than 300 pages, telling a self-contained story that’s entirely complete by the end – what more could you want from a fantasy novel? And from an author’s debut as well! I predict great things from Mr Berry and will be watching him like a hawk. My only disappointment with The Manual of Detection has nothing to do with the story itself – it’s the fact that certain ignorant persons seem to be describing it as steampunk, when not only is steampunk an irritating aesthetic that’s become about as overexposed as zombies these days, but also The Manual of Detection comprises precisely none of the defining features of steampunk. Nobody could mistake the setting for a mock-Victorian one, and nobody could delude themselves into thinking there’s any steam-driven technology in the story aside from a few trains, unless they were being deliberately moronic as part of an attempt to shoehorn as many works into the steampunk category as possible regardless of whether or not it even slightly makes sense to call them “steampunk”. I’m talking to you, Michael Moorcock.